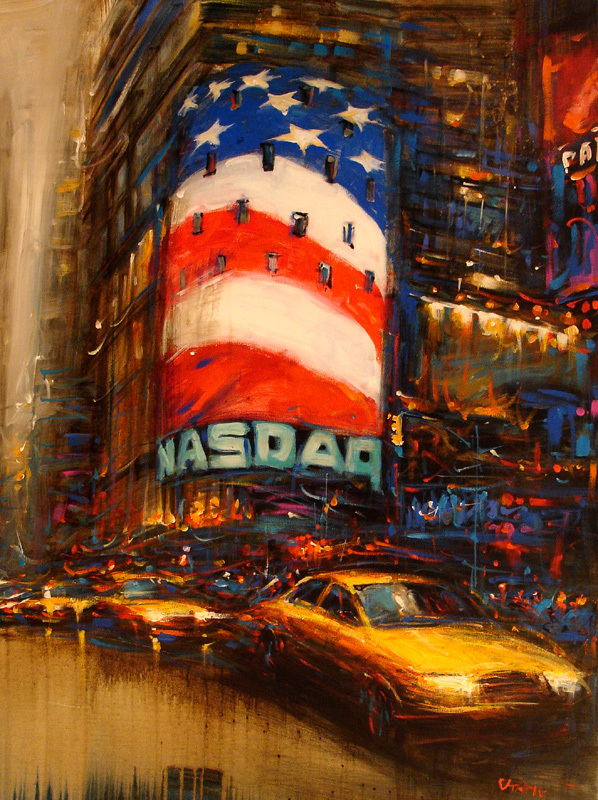 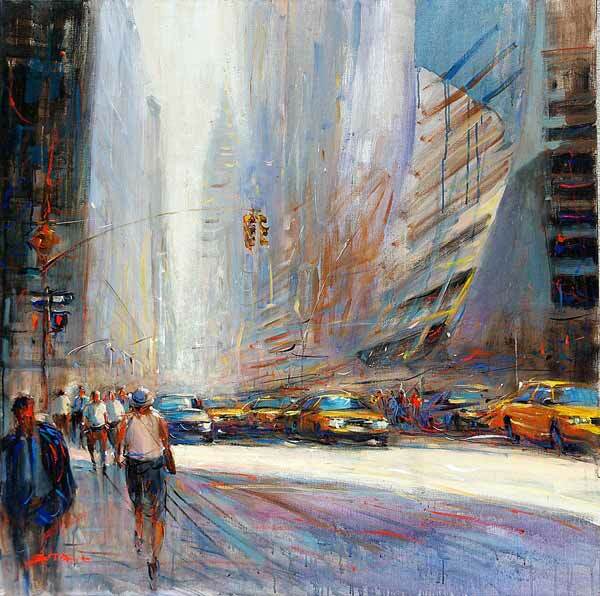 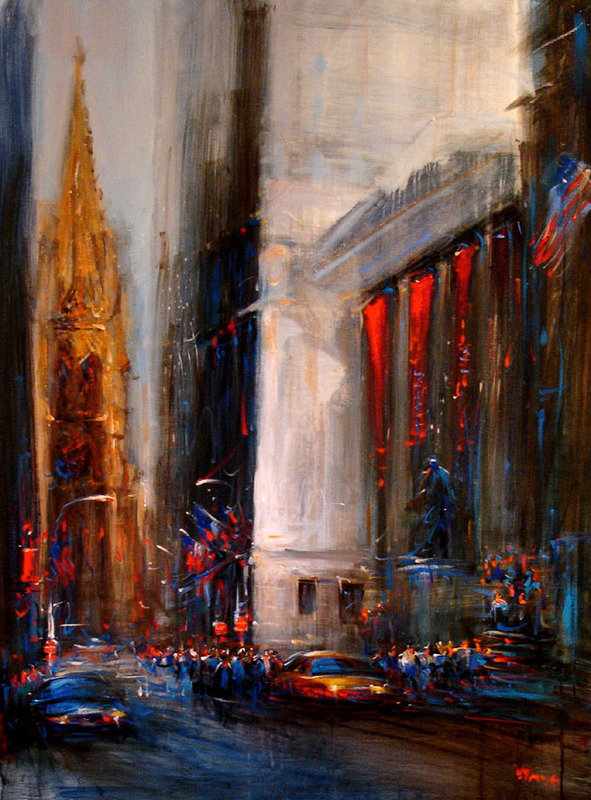 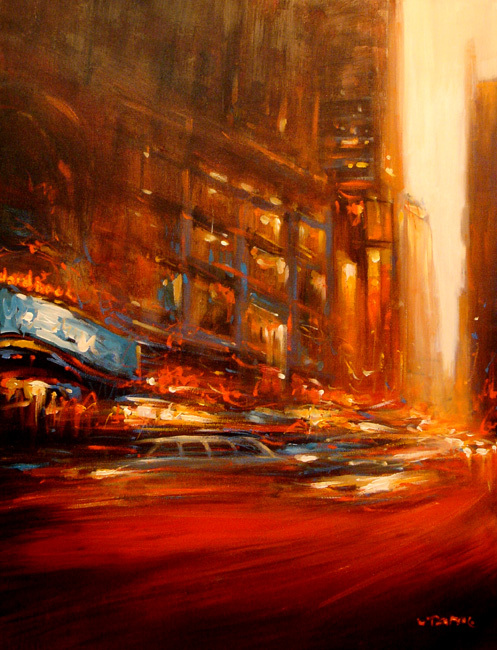 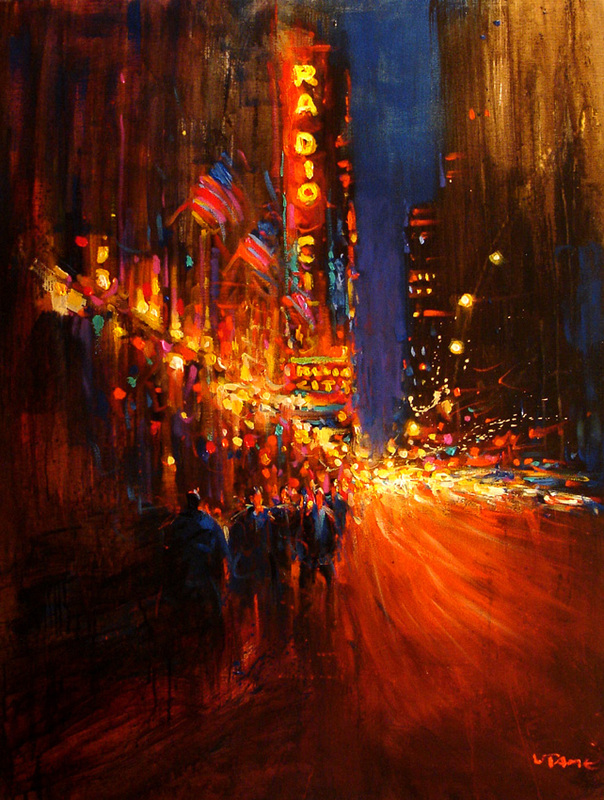 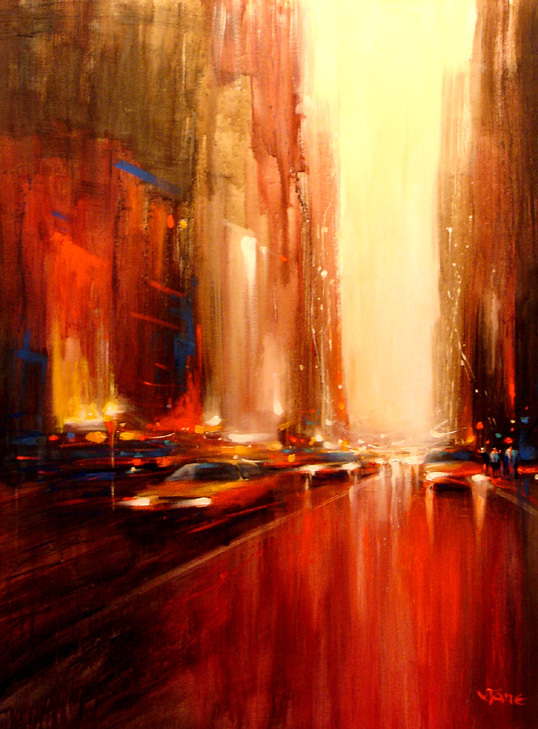 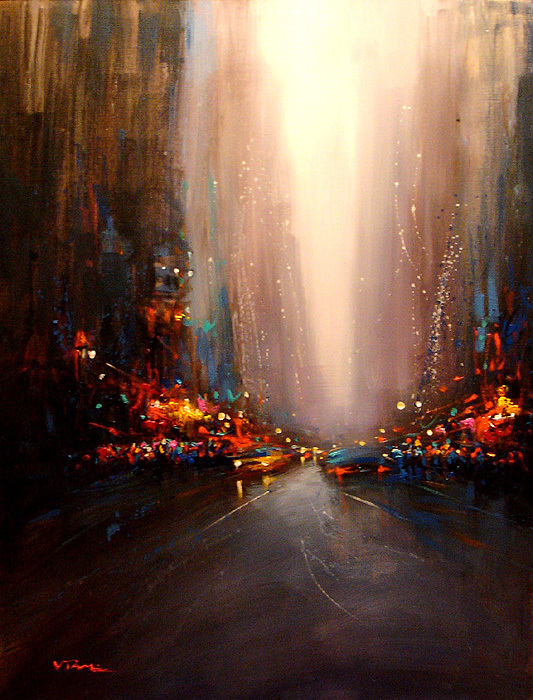 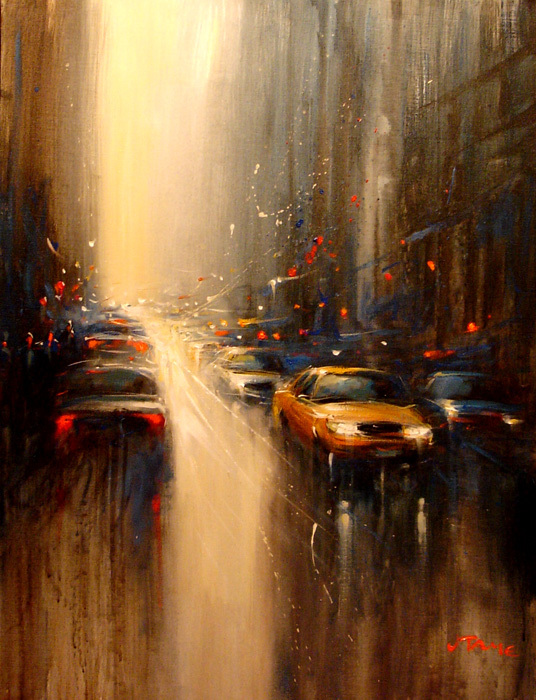 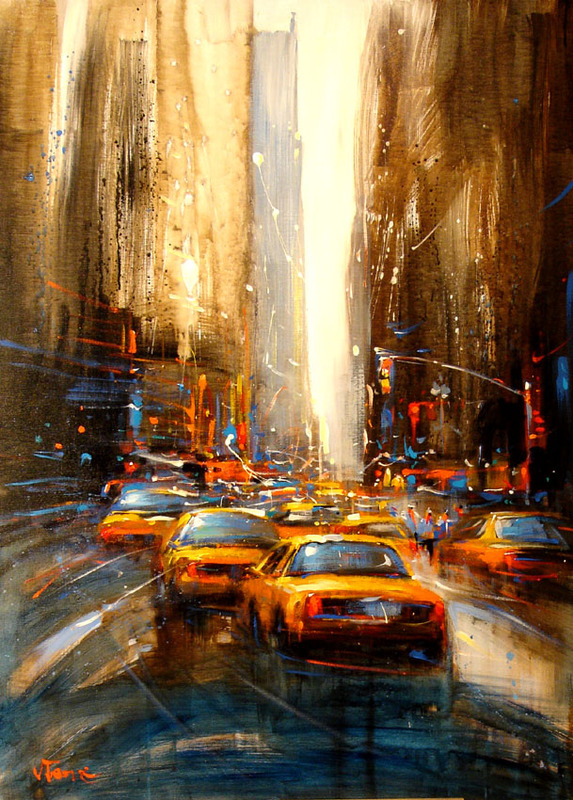 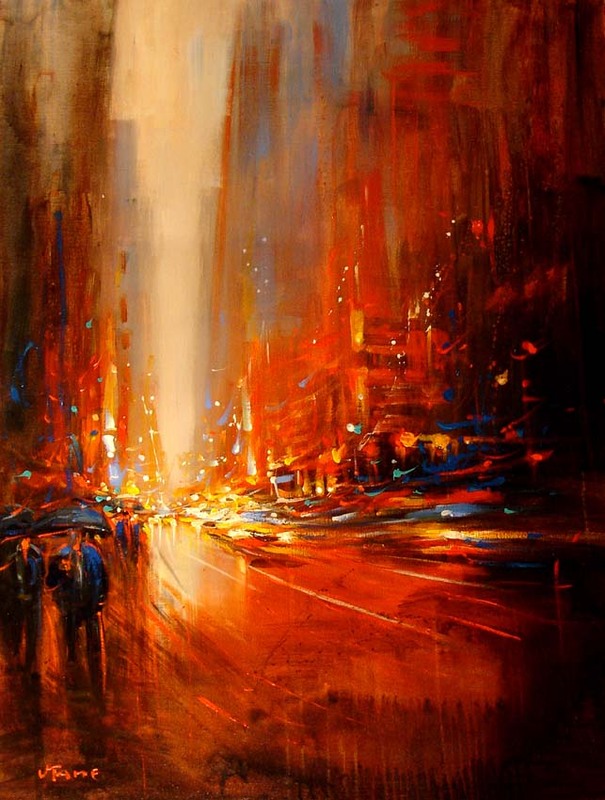 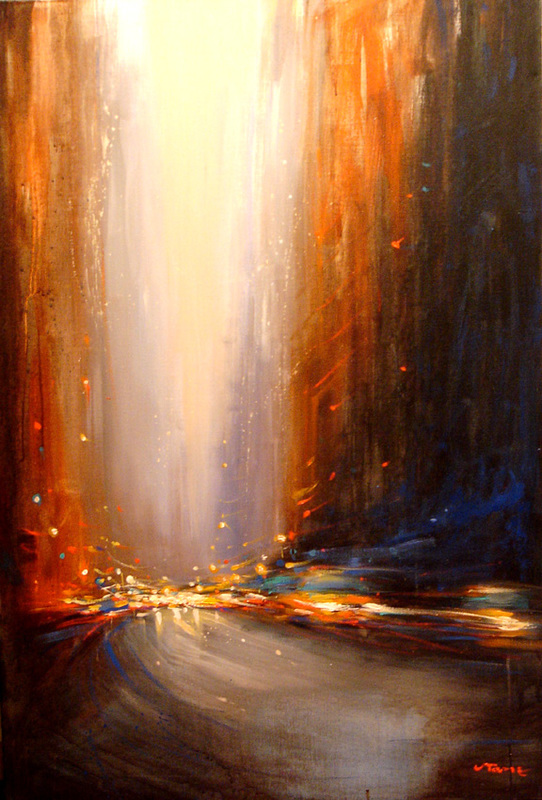 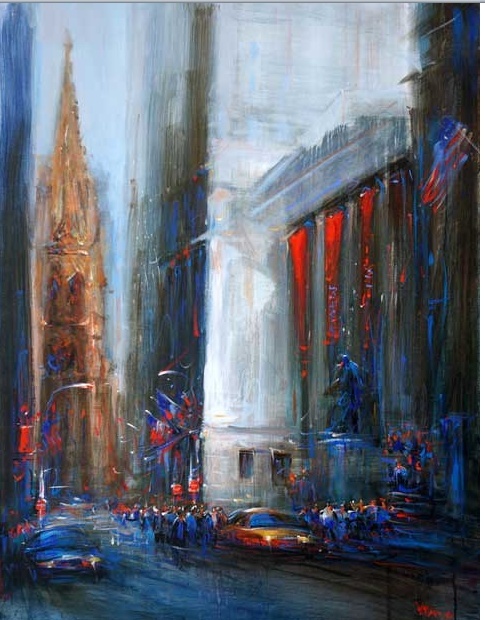 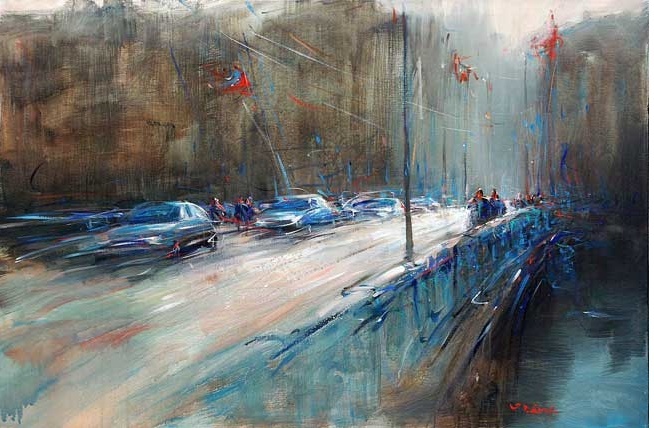 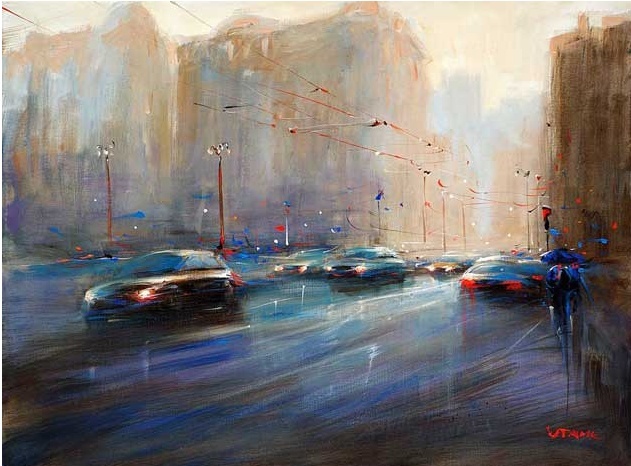 Van Tame is an Vietnamese-born French painter, is able to capture the vibrancy of cities like New York and London, in his energetic and dynamic paintings. 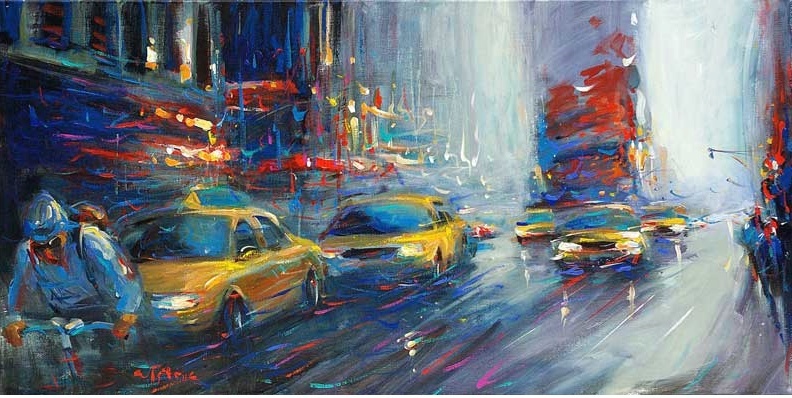 With distinctively animated strokes, Tame's cityscapes remind us of the teeming, bustling life in famous cities. 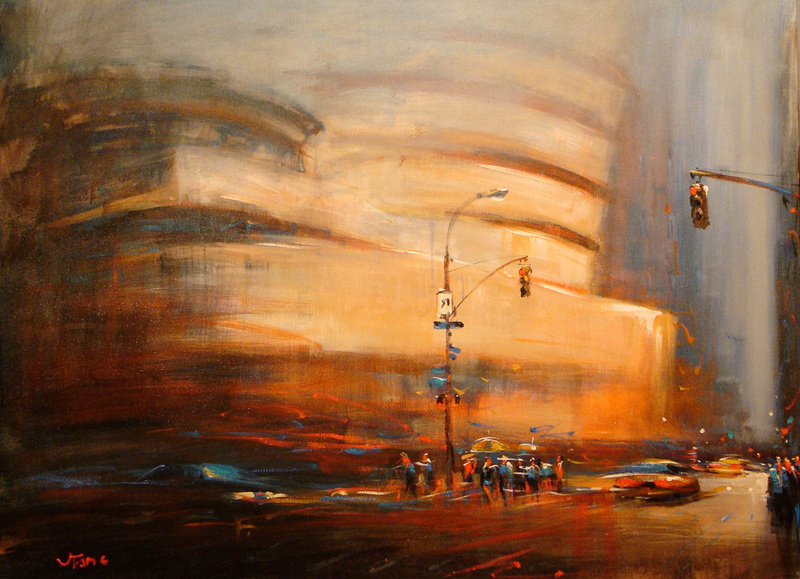 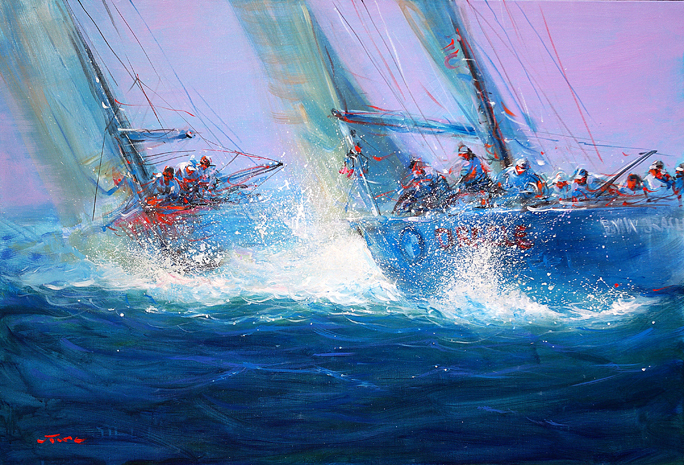 While the images might seem of average canvas size when viewed online, Van Tame actually paints on large scale canvases that are on average, about 4 feet x 3 feet. 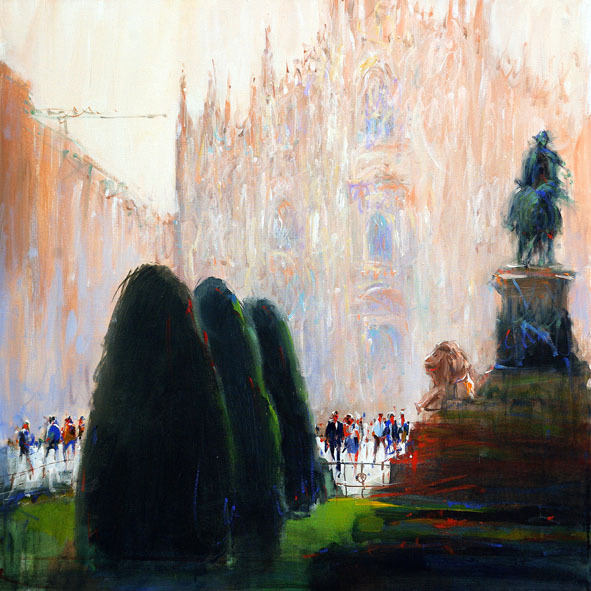 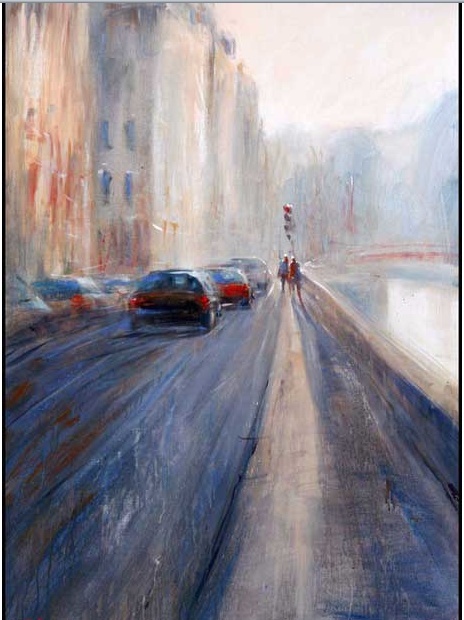 With regard to his use of vibrant colors and the feature of blurred forms, his biography explains that his work is close to that of the “impressionists”, because “[he] does not paint objects, but reflections”.